About 10-15% of the US population has Migraine. The meaning of the very word "migraine" is somewhat open to question, as there appear to be numerous genetic anomalies that contribute to the probability that someone being diagnosed as having "migraine". In essence, these are collections of symptoms, that are called "migraines", by the International Headache Society. Of course, there are many other central nervous system disturbances associated with the same genes are not called migraine. This is a problem. At any rate, the most common "migraine subtypes" are described below. Fortification spectra, as might be seen in Migraine with aura. Scotoma with aspects of a fortification. Classic migraine: Migraine headache with aura (loss of vision or other visual symptoms, paresthesias, motor dysfunction) precedes the throbbing headache. 15-20% of migraines are classic (Russell and Olesen, 1996). An electrical change -- cortical spreading depression within the occipital cortex -- generates most visual areas as well as some sensory symptoms. Common migraine: Migraine headache without aura. About 80% of migraines are of this type (Russell and Olesen, 1996). Vertebrobasilar migraine : headache accompanied by dizziness or ataxia, hearing symptoms (other than phonophobia), nausea and vomiting, and sometimes loss of consciousness. This is rather common as about 1/3 of all persons with migraine experience true vertigo. 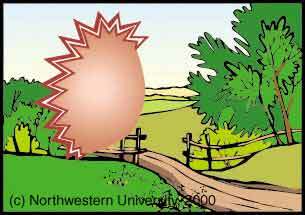 See related page on "Migraine associated Vertigo". Transient monocular blindness can occur in migraine, particularly those associated with elevated antiphospholipid antibodies or lupus anticoagulant (Donder et al, 1998; Levine et al, 1988). However recent work (Donder et al, 1998) suggests that among patients with lupus, no significant relation can be found between transient monocular blindness and the presence of APA or livedo reticularis. This observation suggests that APA may be a symptom of lupus rather than a cause of transient monocular blindness. Antiphospholipid syndromes are also associated with neuropsychiatric disease (Afeltra et al), recurrent miscarriages, and a reticular rash on the legs. Acephalgic migraine: Aura without headache. This diagnosis is generally made when persons who have headache and aura, also have aura without headache. Acephalgic migraines are generally thought to occur only about 1% of the time, but this is a hard number to pin down. As everyone has headaches from time to time, this definition may just depend on what the person is willing to call a headache. 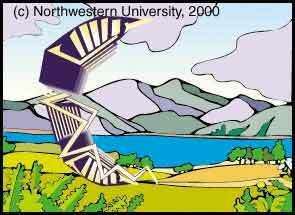 A variant of acephalgic migraine is persistent visual aura, without a persistent headache or stroke. These patients are very rare, and are their disorder is attributed to hyperexcitability of visual cortex (Chen et al, 2013). There is some overlap with occipital seizures (Cecchini et al, 2007), structural lesions of the occipital area such as tumors, isolated photophobia, and visual hallucinations associated with some psychiatric disorders. It is also well known that persons with excessive dopamine such as from overdose of L-dopa may have well formed visual hallucinations. Complicated migraine is accompanied by a neurological deficit. Familial hemiplegic migraine is an example of this. Complicated migraines are rare, again probably less than 1% of all migraines. They tend to reoccur in the same people rather than being scattered randomly across all migraine occurences. According to Wolf et al (2001), they mainly occur in younger women with a history of migraine with aura. The two images on the left above are from a patient with hemiplegic migraine. The non-hemiplegic migraines they tend to occur in the posterior circulation. The figure on the right above shows an example of this. In our experience, calcium channel blockers such as verapamil are often helpful. Migraine increases the odds for "cryptogenic" TIA's and strokes by a factor of about 2 (Li et al, 2015). This, to us, seems a little suspicious as when we encounter a migraine patient with a focal neurological deficit, we don't call it a "TIA", but we usually call it a "complicated migraine". In other words, it may all be just whether the clinicians knew that migraines can cause strokes and auras. 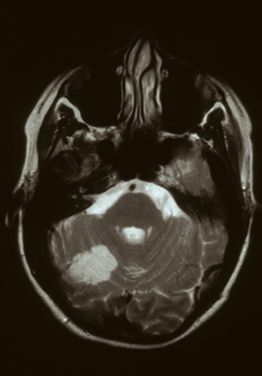 Patients with migraine and many small infarcts on their MRI are another group. About 20% of persons with migraine have multiple small white matter lesions, attributed to small strokes. Persons with antiphospholipid antibodies (see above) are at increased risk of stroke, although there is some controversy about this as noted. Low dose aspirin in persons who have stroke associated with antiphospholipid antibodies is associated with a risk of recurrent stoke of 3.5% (Derksen et al. 2003). 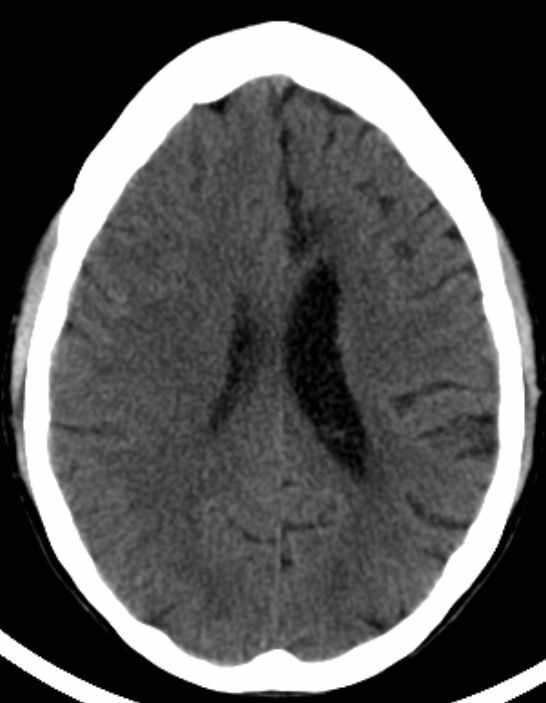 Long term coumadin treatment is suggested in patients with this syndrome after stroke. Ophthalmoplegic migraine, patients present with double vision. Third nerve palsy with headache is the most common type. Again, this is a rare variant, tending to reoccur in the same people. Sensory syndromes. There are individuals with fragments of migraine, such as photophobia or motion sickness, that are put into the "migraine variant" category, but that may actually be independent entities. Afeltra A, Garzia P, Mitterhofer AP, Vadacca M, Galluzzo S, Del Porto F, Finamore L, Pascucci S, Gasparini M, Lagana B, Caccavo D, Ferri GM, Amoroso A and Francia A (2003). "Neuropsychiatric lupus syndromes: Relationship with antiphospholipid antibodies." Neurology 61(1): 108-10. Cecchini, S., et al. (2007). "Atypical Clinical Picture in a Patient with Benign Occipital Epilepsy: Diagnostic Contribution of Morpho-Functional MR. A Case Report." 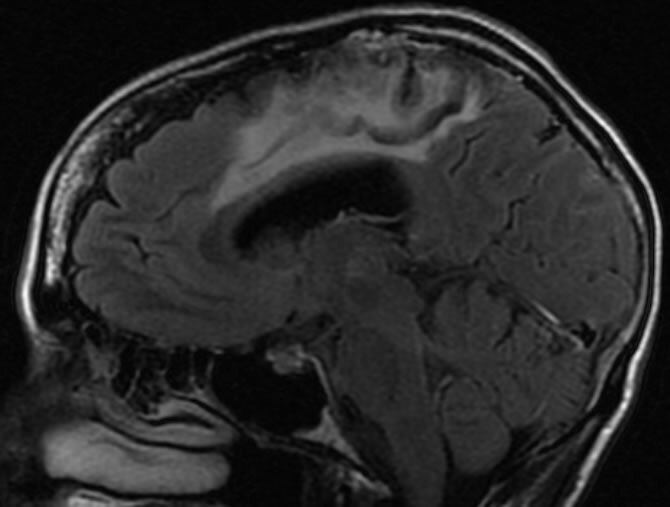 Neuroradiol J 20(1): 43-47. Chen, W. T., et al. (2013). "Headache frontiers: using magnetoencephalography to investigate pathophysiology of chronic migraine." Curr Pain Headache Rep 17(1): 309. Derksen RH, De Groot PG and Kappelle LJ (2003). "Low dose aspirin after ischemic stroke associated with antiphospholipid syndrome." Neurology 61(1): 111-114. Li, L., et al. (2015). "Age-specific association of migraine with cryptogenic TIA and stroke: Population-based study." Neurology 85(17): 1444-1451. Russell MB, Olesen J. A nosographic analysis of the migraine aura in a general population. Brain 199:119 355-361 (about 15-20% of migraines are with aura).